Always Global – Always a Local Adventure. Barnes.com is a Texas-based group founded in 2003. Always good to be in London in March. Flying from America, excitement builds quickly arriving in London Heathrow. 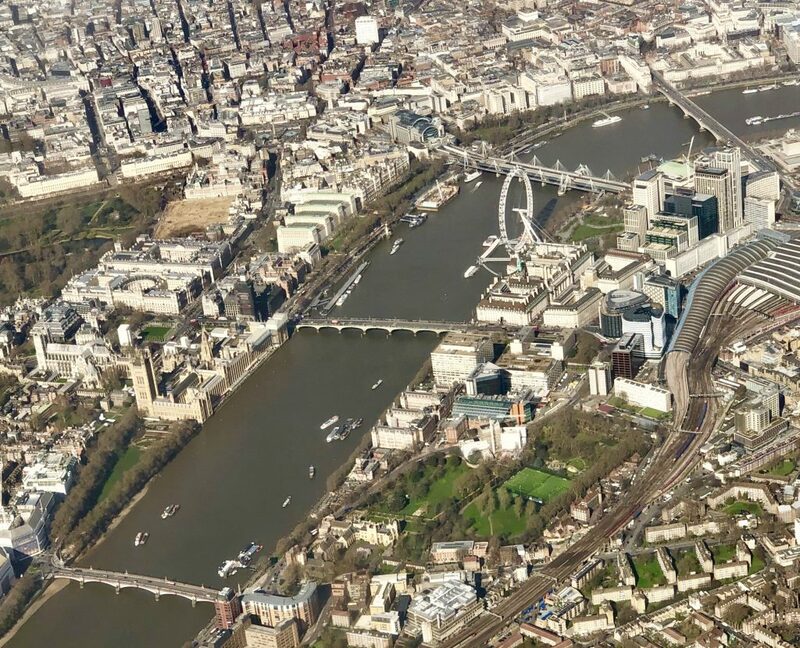 With so much to see, it is easy to find something of interest in London (Photo). Our family had a mission! Our family mission: travel, entertainment, dine, and shop. Travel from Airport to Hotel can be a challenge, but with Oyster Card the Heathrow Express (www.heathrowexpress.com) is a quick trip to Paddington Square. For £25 or $34, Heathrow express will get you from Heathrow Airport (Terminal 2,3,4,5) to Paddington Station in 15 minutes. Always consider a London Taxi or Hackney Carriage on the 17 mile journey on the M4 Motorway to London. We chose a London Taxi for our return travel from Park Plaza Hotel (Plug: www.parkplaza.com/london) to Heathrow Airport. Cost of a London Taxi to Heathrow Airport can be negotiated for a flat fee around £68-£78. Great to see the Buckingham Palaceby London Taxi on our way to Heathrow Airport! For entertainment, I always recommend West End London. With over 240 theaters in London, the Harry Potter play at The Palace Theatre (Plug: www.harrypottertheplay.com/us) is one to see and is a two part play: Part One, 2 hours and 40 minutes and Part Two, 2 hours and 35 minutes with each a 20 minute intermission. Dining is always special in London. Between Part 1 and 2 intermission of Harry Potter we hiked to Wahaka in Soho to have Mexican Street Kitchen Tacos. After shopping at Harrods,we go to Zia Teresa’s (Plug:www.ziateresa.co.uk). The pizzas and Spaghetti alla Carbonara are always good and paired with an Aglianico from their wine list. Shopping, for us, is at Harrods and across the street from Zia Teresa restaurant. We found, for kids, toys and books are reasonably priced and often toy pricing is better than other well-known toy stores in London. Be certain to register for a Harrods Reward Card, free and it pays you back in pounds for future purchases (Plug: www.harrods.com/en-gb/faq/harrods-rewards). It was a great quick trip. We did see friends that were in Charing Cross by coincidence and exchanged stories of sightseeing and travels. Confidence will come. Focus on the moment. Courage begins now. 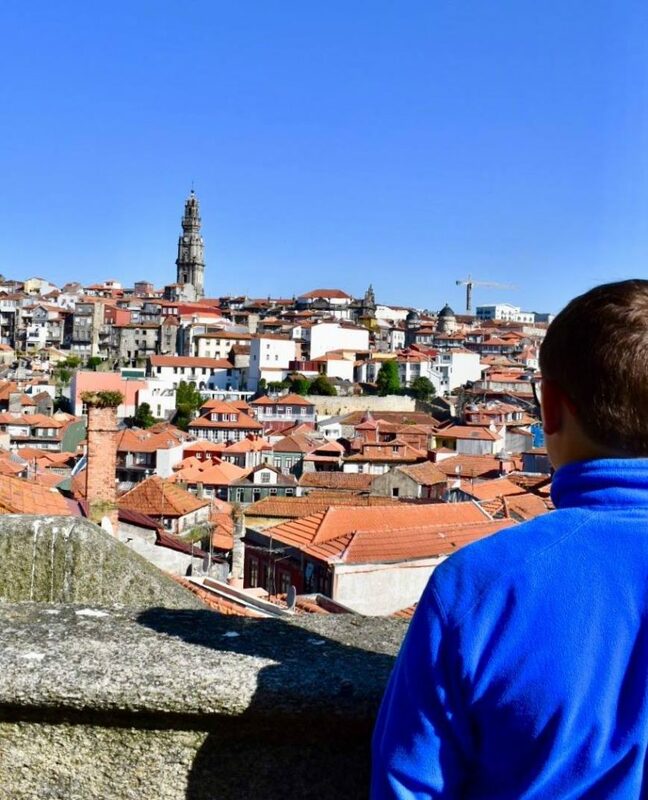 Looking out over the city of Porto, my son has a great way of ‘taking it all in’. Our first family trip to Portugal had us touring though all areas of the city of Porto. We are travelers and love to explore. Through our travels, opportunities to be courageous always present themselves. Performing courageous acts means doing the right thing when there is peer-pressure or a pressure to do something else. As a child, you know your environment and you know the environment is safe. You are protected and supported by those around you. The support and care you feel from others allow you to take courageous acts. Many courageous moments over time allow us to become confident. Now, fast forward to adulthood, look at your relationships. Who believes in you… Who supports and cares for you… Who do you know that knows you will succeed at your goals…. Every courageous moment you have will help others to become more courageous. Like a smile, when you smile your serotonin, dopamine, and endorphins are released and others smile too. Act on a courageous moment today. Such a wonderful island and beautiful people. This is La Fortaleza and San Juan National Historic Site built between the 16th and 20th centuries to protect the city and bay. Interesting story of invasion and defeat of the Dutch in the Battle of 1625. We had dinner with friends and spoke about hurricane Maria and PR’s recovery. Speaking with local business people, they say recovery is slow and many are donating locally to help areas not receiving aid. We spent money with local businesses and had a wonderful time. Our hope is Puerto Rico will recover and grow stronger! Vinyard Tour – Located in the city area of Manresa, Spain called Pla de Bages is the 1,000 year old vineyard named Oller del Mas. Oller del Mas is surrounded by and near the mountain area of the Montserrat monestary. 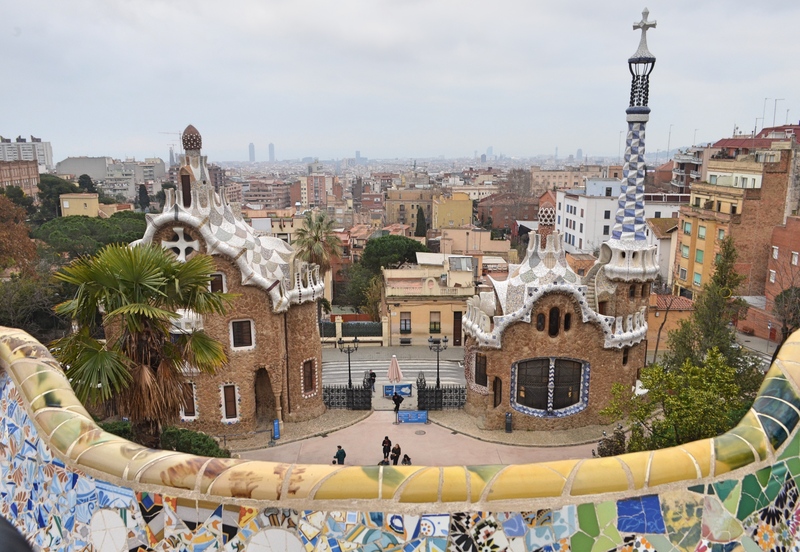 Also, nearby is the 23,000 acre Natural Park of Sant Llorenç de Munt. Oller del Mas uses only grapes from its estate for wine production. The vineyard seems to maintain great respect for the soil and the area. The “third-party” tour-guide walked us through the Oller wine making process and toured the vineyard. In the castle we sampled Bernat Oller Picapoll Blanc and gazed upon the castle. One interesting note is seeing the long narrow windows. These were used for the archers as the residents protected themselves agains any intruders. The cellar and storage areas were beautiful and displayed age-old beauty barrels and caves. Wines produced at Oller del Mas are named: Especial Picapoll (2015) with 2,500 bottles and 100% Piquepoul Noir, Arnau Oller (2014) with 7,400 bottles and 90% Merlot/10% Piquepoul Noir, Bernat Oller Picapoll Blanc (2016) with 12,600 bottles and 50% Piquepoul Blanc/50% Piquepoul Noir, Petit Bernat Negre (2016) with 35,400 bottles and 40% Cabernet Franc, 25% Syrah, 20% Cabernet Sauvignon, 10% Merlot, 5% Picapoll Negre. In Cochem, Germany in a small hotel on the Moselle river, we stayed in a hotel. We walked the riverbanks and took pictures of the castle at night (http://www.burg-cochem.de/lage-der-burg.html?&L=1). The contours of the neo-gothic building was more than about 330 ft above the river Moselle. Cochem Castle was built around the year 1000. Additional “must do” items include: The historical mustard mill (Senfmühle), built around 1810. For around 6 Eros, take the seselbahn to the Pinnerkreuz mountain and hike up to the cross on the top of the mountain. Also, wine cellars tour and tasting possible at: H.H. Hieronimi, Stadionstraße 2. Cochem gets quite around 18:00 hours. However, make the most of the morning and big German breakfasts most hotels offer. It is a wonderful city and fun for the family. Summer is a great time to take a break from school and work to explore new areas. We did just that and had a great time. 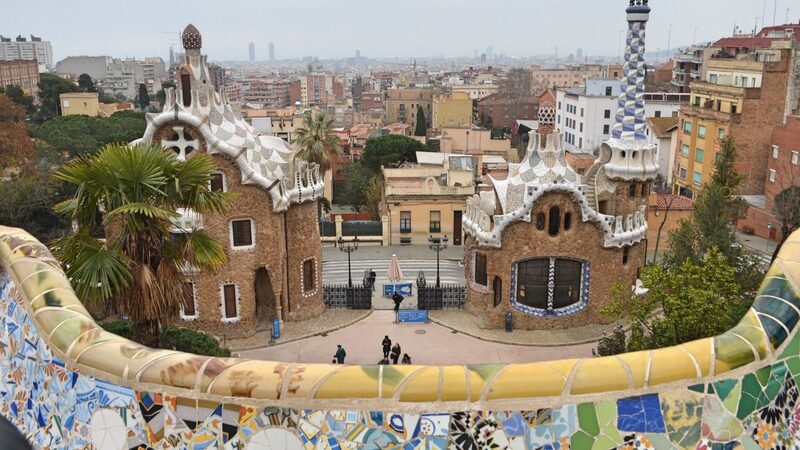 Driving over 3,500 kl (2,100 mi), we toured through The Netherlands, Germany, Austria, Switzerland, and Italy. Our first stop was Cochem, Germany where the Mosell River runs through and the Reichsburg Cochem Castle stands and Cochemer Sesselbahn (or Chairlift) to take us to the top of the mountain to see the entire city. At the top was a cross that lit up the skies at night and a spectacular view. All is good in Germany when it comes to celebrating Christmas. We recently traveled to Munich and drove to several Christmas markets. Our favorite was Nuremberg. In Nurrmberg we stayed at the Saxx Hotel with our room overlooking Christmas market. 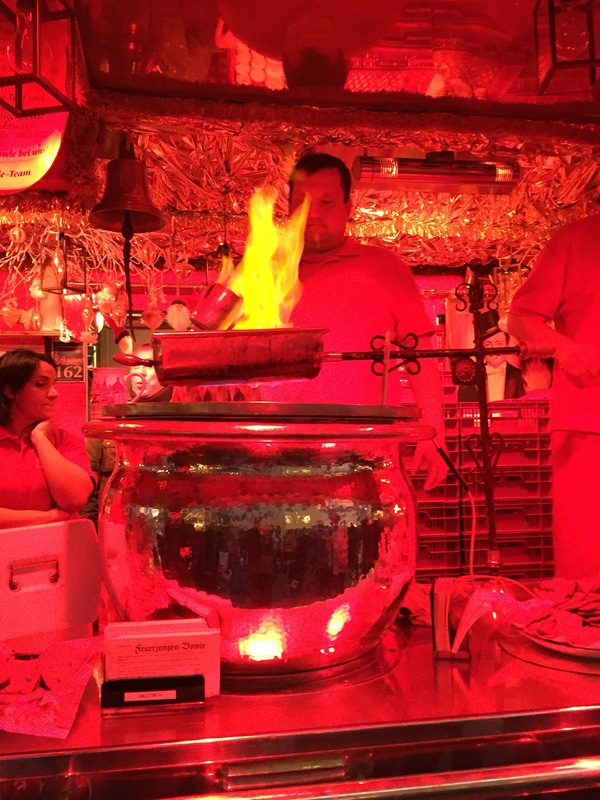 The picture below is of a gentleman cooking Feuerzangenbowle, a traditional German alcoholic drink with a rum-soaked sugarloaf set on fire and drips into mulled wine.